ORM Training in Chandigarh: Problab technologies Pvt. Ltd. is a best ORM training Company in Chandigarh which will train you at a professional level. Let us know about the need of ORM. Online Reputation Management is a Part of Digital Marketing. If you really want the best ORM Training Company in Chandigarh which will make you professional, then Problab Technologies is a right place for you who provide the best platform to fresher also. Our ORM Training Program in Chandigarh will provide you all the skills and tactics that are required to become a successful Reputation Management Professional. ORM stands for online reputation management which also known as online reputation monitoring. As the name suggest itself in the today’s time everything is going online, even businesses also. If a business wants to run very smoothly and efficiently then first it must have online reputation. Online reputation can be for anyone like Business Company or an individual, in the world of digital marketing. The general term of reputation building is making relation with public, but as the things going wide on internet, its definition also converting to have reputation on internet, which directly consist focus to search results or social media. Why ORM is important For Company? When a company makes its brand, then the success of that brand depends on its reputation or impression which is very sensitive reason for gaining success. The reputation is very important in each and every aspect of online reputation which is also known as digital reputation. Online Reputation Management is much important for a brand, because only reputation will decide traffic on your business website throughout global, which is very important manner of digital marketing. It must have deep knowledge of ORM, to generate the positive results, which you also can learn from the our ORM training program. Reputation Management Tools and much more…. Why Choose Problab Technologies for ORM Training in Chandigarh? Practice and Work only on the Live Websites. 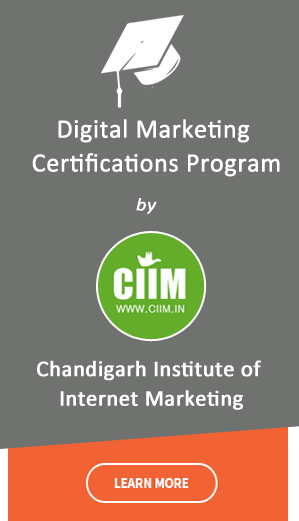 Affordable ORM Course in Chandigarh. We Provide Online Money Making Tips (Ad-sense/Affiliate). Course :ORM Training Course in Chandigarh. Duration : 3O – 45 Days, ORM Training in Chandigarh.